This timeless Newbery Honor Book from bestselling author Katherine Paterson about a wisecracking, ornary, completely unforgettable young heroine. Now a feature film starring Kathy Bates, Glenn Close, and Octavia Spencer! 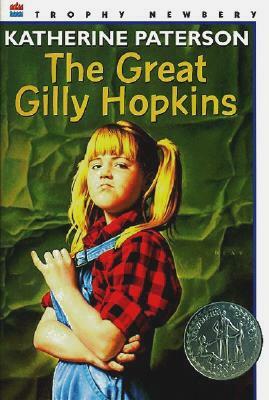 Eleven-year-old Gilly has been stuck in more foster families than she can remember, and she's hated them all. She has a reputation for being brash, brilliant, and completely unmanageable, and that's the way she likes it. So when she's sent to live with the Trotters—by far the strangest family yet—she knows it's only a temporary problem. Katherine Paterson is one of the world’s most celebrated and beloved authors. Among her many awards are two Newberys and two National Book Awards, and she was recently named a "Living Legend” by the Library of Congress. She has been published in more than 22 languages in a variety of formats, from picture books to historical novels.